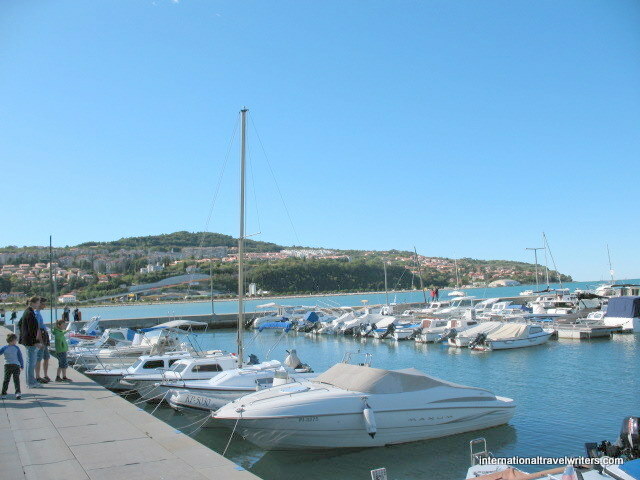 Koper is a coastal town with the largest commercial port and is the oldest town in Slovenia. It is also one of the main road entry points into Slovenia from Italy which lies to the north. It also has a rail connection to Ljubijana which is the capitol of Slovenia. Italian used to be the main language, spoken by about 90% of the population, until it was incorporated into Yugoslavia in 1954 and a lot of the Italians left. From Slovenia’s borders you can cross into Austria, Hungary, Croatia, and of course Italy. 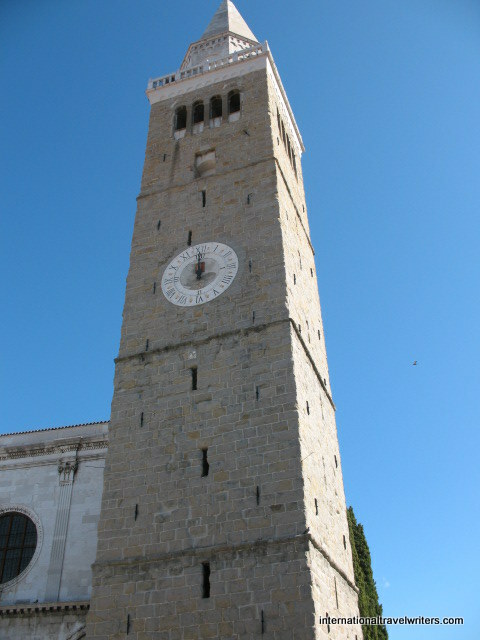 It had a varied history until Koper joined the Republic of Venice in 1278. The 16th century saw the drastic fall of the population due to repeated plague epidemics. 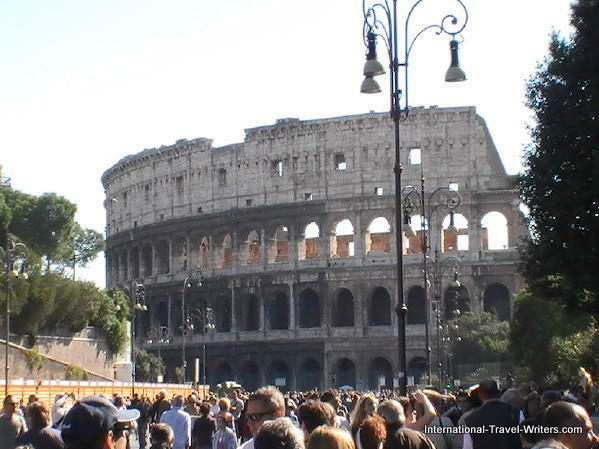 It was assigned to Italy after the 1st World War and then it was controlled by Yugoslavia after the 2nd World War. It was the first state within Yugoslavia to successfully declare its independence. 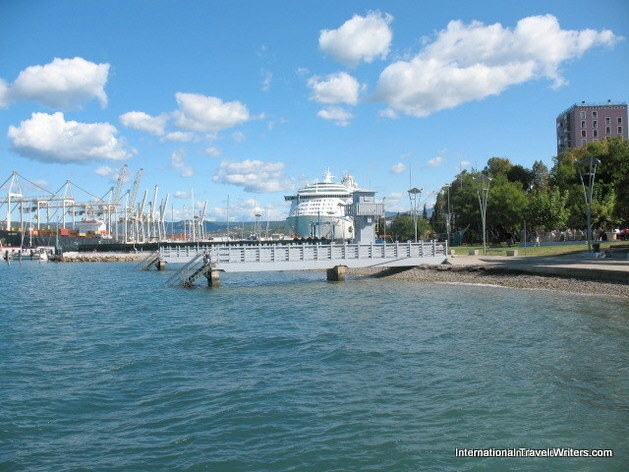 With Slovenia independence in 1991, Koper became the only commercial port in Slovenia. Our cruise ship stopped here and although there were a number of tours available, we opted to meander independently for a few hours. At the bottom of the gangplank there was a customs desk and the process was swift. Between there and the street there were a selection of booths set up with souvenirs and also a funny caricature board where you could be photographed with your face showing through a hole. 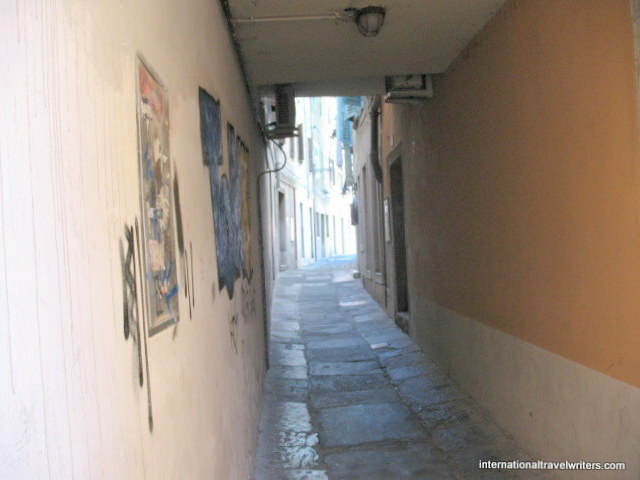 Ljubijana City Highlights – Guided walking tour of the interior streets of Ljubijana passing all the main attractions. Three bridges created by a famous Slovenian architect, Preseren Square (named after a poet), the open-air market known for its organic food and Slovenian culinary highlights, the medieval Town Hall, Robba’s Fountain masterpiece from the Baroque era and other sites. Postojna Caves – An approximate 1 hour drive from Koper to the Karal region, which hides a unique underworld beneath its beautiful landscape. Visit Postojna Cave, partly by electric train and partly on well kept paths…view numerous passages & chambers, some with stalactites and stalagmites, another cave that hosted dances and concerts for 180 years, and another in which the remains of Ice Age animals have been found. Slovenia by High Speed Boat – A scenic and adrenalin-boosting boat ride from Koper’s main marina along the Slovenian Coast.Life jackets, helmets and headsets to hear about all the historical sites will be provided. There will be a stop in the fisherman town of Izola for some free time to explore the Riviera, then a fast return toward Koper. Scenic Countryside & Traditions – Drive through the hilly coast and fruit groves to a stony village and enjoy a light walking tour of the local village, where the architectural side will be introduced, then proceed to a venue where local products can be tasted while enjoying performances by local musicians. Continue with a panoramic drive through the hilly coast with fruit groves, vineyards & stony villages. Slovenian Biking Adventure – An approximate 6 mile bike ride following the tracks of the narrow-gauge Parenazna Railroad, which once ran from Trieste to Porec. The route takes you through old towns and villages, to the sea through vineyards & olive groves, through short tunnels, across valleys and up into hilly land. 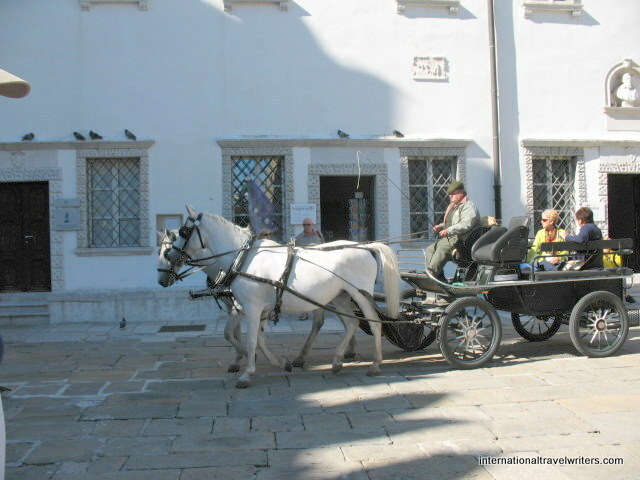 It ends in the tourist town of Portoroz where you’ll take a return transfer to the pier. Taste of Slovenia – After a short drive, stop in the Regional Park of Secovlje, a salt pan where, for centuries, people produced goods with typical methods. In the museum house, an ethnological collection is hosted where the rooms presser the original look as it was years ago. Proceed to the Savrini through the hills and olive groves for a visit of a typical farmer’s home. Continue to a traditional coastal wine cellar, visit the interior of this cellar where barrels are stored and enjoy a wine tasting. Lipizzaner Horses – Visit the Lipica Stud Farm, founded in 1580, and today, it is a jewel among the cultural and historical monuments of the Republic of Slovenia. For over four centuries, the Lipica Stud Farm has nurtured the tradition of breeding & selecting thoroughbred horses.The riding school was established during the Austrian Empire in 1572, and is the oldest of its kind in the world.Lipica has successfully performed with its horses at various equestrian events all over the world. Koper Walking Tour – Guided walk around the town’s hidden squares, enjoying Koper’s well-preserved Venetian Renaissance tradition and the burgher buildings of this 1,000 year-old republic. 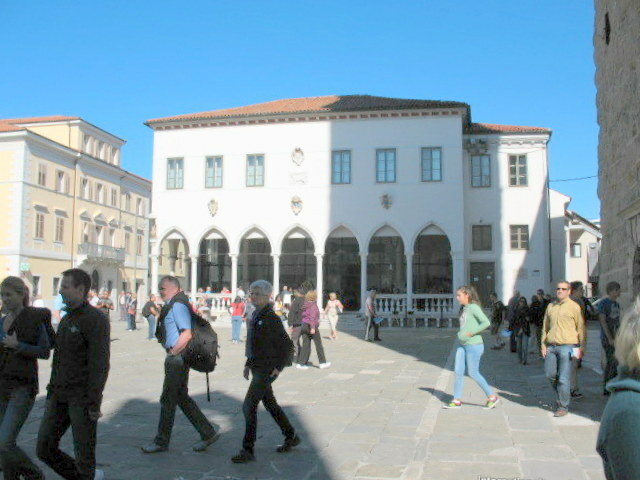 Upon visiting the important sights of Koper, your tour ends on the Carpaccio Square, where the great Venetian master spent the last days of his life. 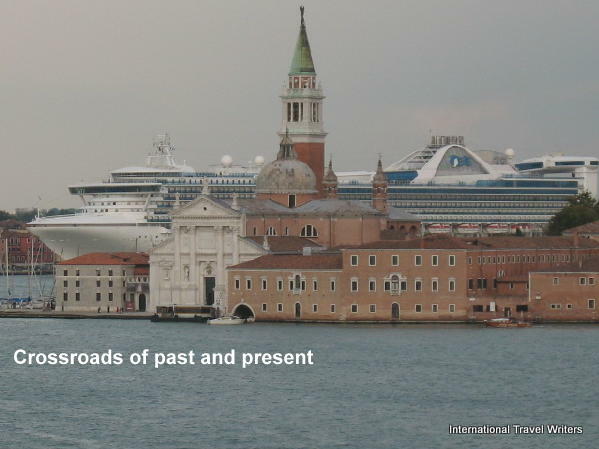 Once the tour has completed, you may return to the port at your leisure. Learn about the cultural heritage of the region during your visit to the Regional Museum and have a taste of some local products and wine at a local restaurant. 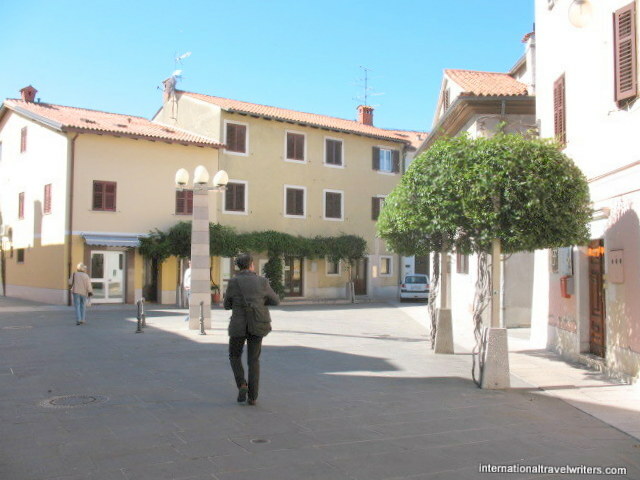 Piran Walking Tour – Piran is the oldest town in Slovenia and one of the best preserved in the country. 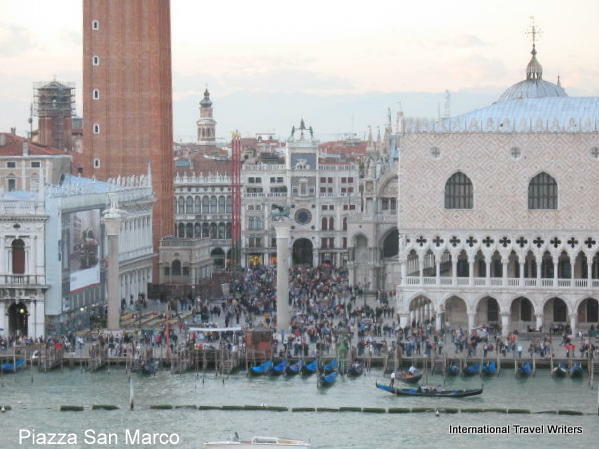 Salt, referred to as crystal gold, made this town rich as well as a very important part of the Venetian republic. Discover the ancient heritage of the salt makers and a Venetian-era museum town. Today, this seaside town is virtually an open-air museum, famous for its Venetian architecture & as the birthplace of the Renaissance composer, Guiseppe Tartini. 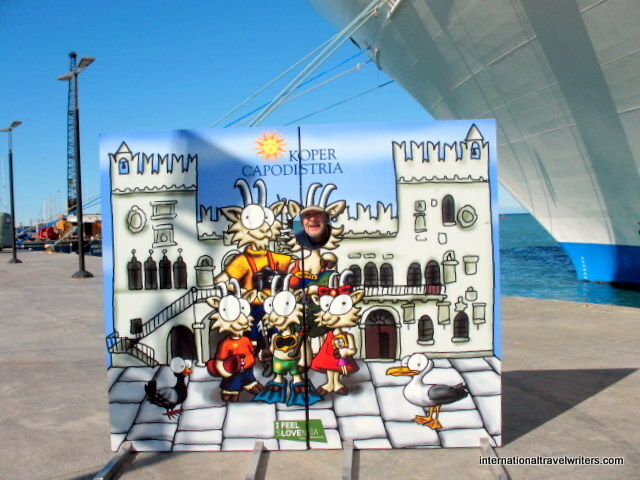 Enjoy some free time exploring the lively Tartini Square or the promenade along the sea, before returning to the ship. Knights and Countryside Legends: Koper – Knights dressed up in traditional costumes perform some of the most famous battles. Then enjoy a guided visit of the Sneznik Castle to see the jewel that remained preserved through history. After, you proceed to a local farm, where you get to taste the flavors of homemade specialties.There is an opportunity to take a tradition horse and carriage ride. This is the Town Tower in Tito Square. There are 204 steps to the belfry and the tower is 54 metres high. It used to be part of a Roman fortification. 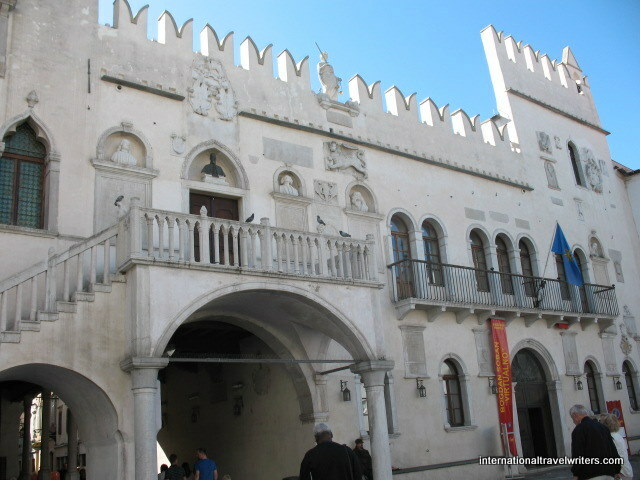 The Praetorian Palace is a 15th Century Venetian Gothic palace located on the south side of Tito Square. It has been housing the Koper city government since 2001. It is also home to the tourist office. Tito Square is one of the major gathering places in this town. There weren’t many people in the streets here, mainly just those of us from the ship. We figured it might be the fact that it was Sunday. Later we saw multitudes of people enjoying the balmy weather down at the Koper Marina area. 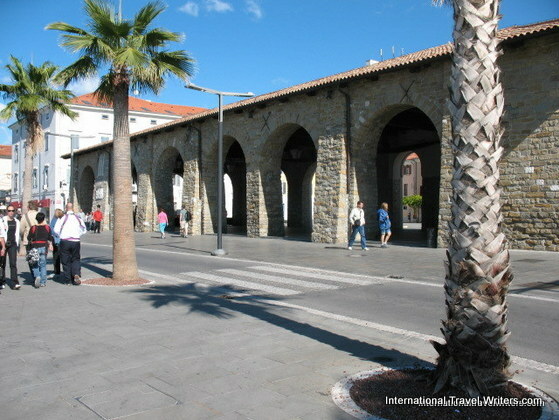 There was a free mini-train that left the pier and had stops at Antonio Gramsci Square, the train and bus station, a shopping center, Preseren Square and an open market. We saw it was packed and decided not to wait for the next one. I should have done my homework because we grabbed a cab thinking that getting into town would be a problem.We could see it was all uphill which is difficult for me. We negotiated the price and then wondered why he kept circling all over…guess what….it was probably 2 blocks away, but it was all up hill. We just laughed. 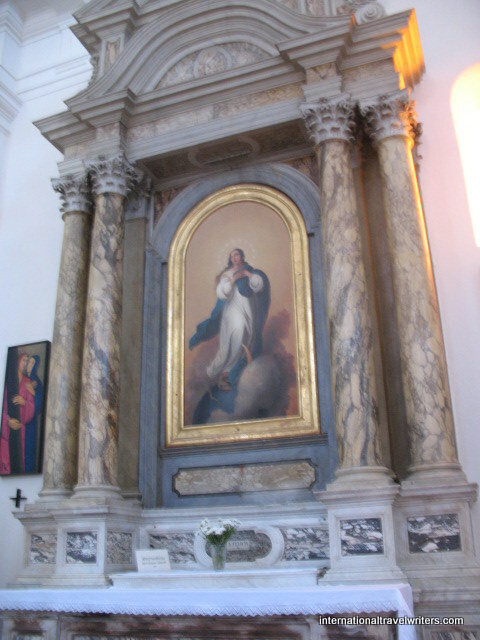 The Cathedral of Mary’s Assumption, along with a museum, were major attractions in this town. There were massive marble pillars framing artwork. Like so many medieval towns we have visited in Europe, the streets are narrow, mainly in a section called "Old Town" The streets tended to be wider in the newer sections of Koper. 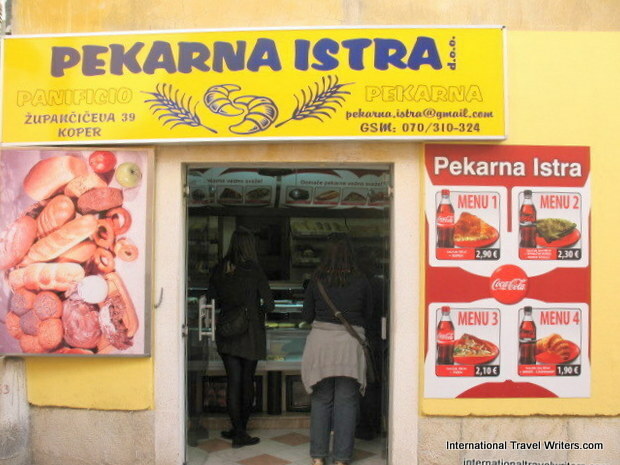 Fast food is alive and well in Koper. Note all the menu choices with Cokes. Many of the streets in Old Town were vacant, no crowds, almost like a ghost town, but of course it was Sunday. We knew we were getting back towards the water but instead of walking straight down the hill we had circled through the town to see more of it. We came across what they call “the Taverna” that dates back to their agricultural days. We were starting to see people again after the quiet streets we’d passed through. Finally, we saw local residents enjoying their Sunday afternoon. 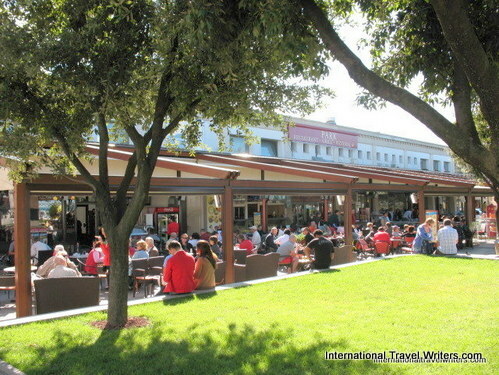 They were gathered near the marina with a good view of the water socializing and enjoying outdoor cafes. This one called “Park” was a restaurant, pizzeria, and grill. The marina had a lot of small boats but very few of the larger ones we'd seen in other ports. We had come full circle and we could see the pier ahead of us. It had been a gorgeous afternoon wandering in the quaint town of Koper but there was nothing here that would compel me to return.